LEADERS IN ACTION "Spotlight Interview"
Joint Efforts to Save the Environment (JESE), is an indigenous Non-Governmental Organization (NGO) established in 1993 implementing a diverse portfolio of projects in the greater Rwenzori region covering the districts of Kamwenge, Rubirizi, Kabarole, Bundibugyo, Kasese, Kyenjojo, Kyegegwa, Kibaale, Buliisa and Mubende. 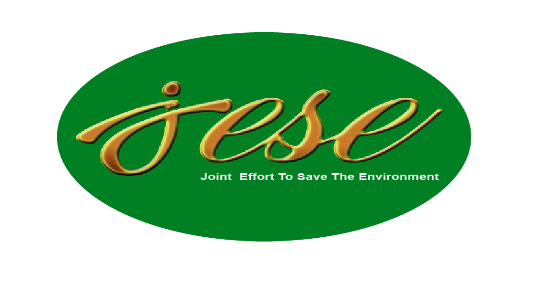 JESE is registered as an NGO by the national NGO BOARD (reg. No. 55914/1019) and as a company limited by guarantee reg. NO 47579. JESE has for the past years focused its interventions on increasing household food security, improving agricultural production and marketing to increase incomes amongst the people of the Rwenzori, promoting environment and natural resources governance, and improving water, sanitation and hygiene at households and in schools. JESE envisions a community where people and nature flourish with a mission to facilitate innovative actions for sustainable water and natural resources management and improved livelihoods. Since 1993, JESE has developed its capacity and marked out its niche as one of the leading indigenous organizations supporting sustainable agriculture, water and sanitation and integrated Natural Resources management in the Rwenzori region.